Request to Continue Application: To act on a Continuance Request for a Subdivision Application submitted by Jason Lavoie involving property at Tax Map 1, Lot 16 located at 110 Rollins Road in Rollinsford NH for a period of 65 Days. Discussion: To discuss a request to relieve Paul Integrity Automotive, on the corner of Church and Main Street, from a site plan condition imposed in January for a fence to screen the east side of the property from Church Street. Preliminary Consultation: To discuss a potential 2 Lot Subdivision submitted by Arthur Gagnon (DBA Diversified Builders) on Clement Road involving Tax Map 1 Lot 43-1. 6. Any other business that may come before the board. Take a unique guided tour of Rollinsford, Berwick and Somersworth by canoe or kayak on Sunday, August 7 from 1 to 3 pm. The Association for Rollinsford Culture and History (ARCH) and the Southeast Land Trust (SELT) are co-sponsoring this opportunity to learn about the historic points of interest and conservation land along the Salmon Falls River between Front Street in Rollinsford and New Dam Road in Berwick while enjoying the lovely scenery along the way. Participants must provide their own watercraft and flotation device; a limited number of boats are available for loan but must be arranged for in advance. The registration fee is $5 for the general public; free to ARCH or SELT members. To register or request more information, email paulwentworthhouse@gmail.com or call 603-742-4747 and leave a message. Baseball fans and bicycling enthusiasts who are interested in the histories of their respective sports won’t want to miss two up-coming talks at Rollinsford’s historic Colonel Paul Wentworth House. Both lectures are being presented in connection with “Neighborhood Entertainments: New Englanders at Play,” the exhibit on early New England sports and recreation currently on view at the Wentworth House.Zip Zamarchi will present an illustrated talk about penny farthings, bone shakers and other forerunners of the modern bicycle on Tuesday, July 26. Mr. Zamarchi is a cycling historian and an avid collector of antique bicycles and bicycling memorabilia. Several items from his extensive collection are included in the exhibit. On Tuesday, August 9, Brian Sheehy will describe the game of baseball the way it was played by early teams such as the Portsmouth Rockinghams and the Newburyport Clamdiggers: no gloves, underhand pitching, and woolen knickerbocker uniforms. In addition to being an historian of the game, Mr. Sheehy plays base ball in the style of the 1800s with the Essex Vintage Base Ball Club. Both talks will be presented at 7 pm, and the doors will open at 6 pm for visitors who would like to tour the exhibit prior to the presentation. Light refreshments will be served afterwards. Admission to the presentations and the exhibit is $5 for the general public and free for members of ARCH. Maintained by the Association for Rollinsford Culture and History (ARCH) as an educational and cultural center, the Colonel Paul Wentworth House is located at 47 Water Street in Rollinsford, NH. For more information, call (603)742-4747 or (603) 749-1966. 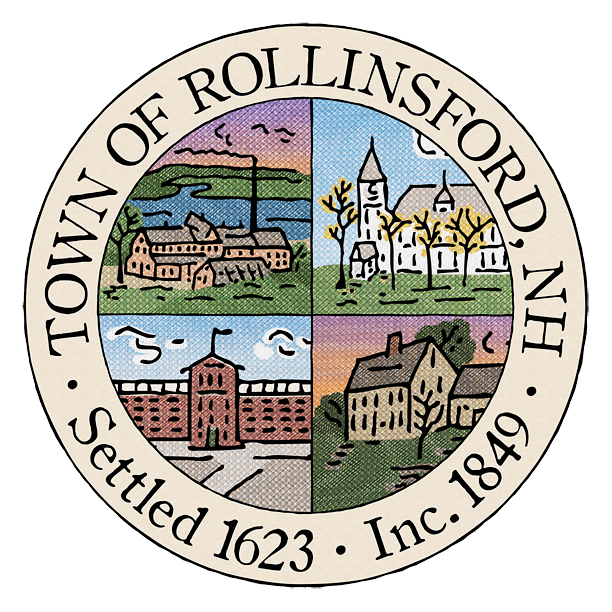 The public is invited to attend the first of several local C-RiSe (Climate Risk in the Seacoast) meetings to be held at the Rollinsford Town Hall on Wednesday, June 29 at 6:00 pm. The discussion will cover assessing vulnerabilities of municipal assets and resources. Kyle Pimental of Strafford Regional Planning Commission will oversee the meeting. Representatives of all local departments and committees have been invited to participate in the discussion. An 18th century New England household will come to life at a two-day living history event at the historic Colonel Paul Wentworth House in Rollinsford, NH from 11 am to 4 pm on Saturday and Sunday, June 18 and 19. Re-enactors in period clothing will demonstrate a wide range of domestic activities showcasing everyday life in a colonial home, including gardening, hearth cooking and housekeeping chores, as well as games and pastimes. Saturday’s highlight will be a demonstration of colonial foodways from the hearth to the table, illustrating how food was prepared, served and enjoyed in the 18th century. Demonstrators will also show how early Americans “slept tight” by making a straw-filled mattress and roping a bedstead. Visitors will be welcome to join in some indoor and outdoor games which were popular in colonial America. Located on Water Street in Rollinsford, the Wentworth House is maintained by the Association for Rollinsford Culture and History (ARCH) as an educational and cultural center. Admission to this event is $5 for adults, and free for children and ARCH members. For more information, consult the ARCH website at www.paulwentworthhouse.org or on Facebook at The Colonel Paul Wentworth House. The 2016 Salary Review Committee will hold its first meeting on Wednesday, June 15 at 6:30 pm at Town Hall. The members of this year’s committee are: Myles England, Denise Knowles and Sheila Reilly. Select Board member Suzanne Huard will be there to review the Select Board’s charge to the committee and potential sources for comparative data. The committee has been asked to review the stipends of elected officials with particular attention to the position of Town Clerk.